Yesterdays major quake was the first of August and only the 55th of 2017 in what is likely to be the lowest yearly amount of major quakes since the 1940's. 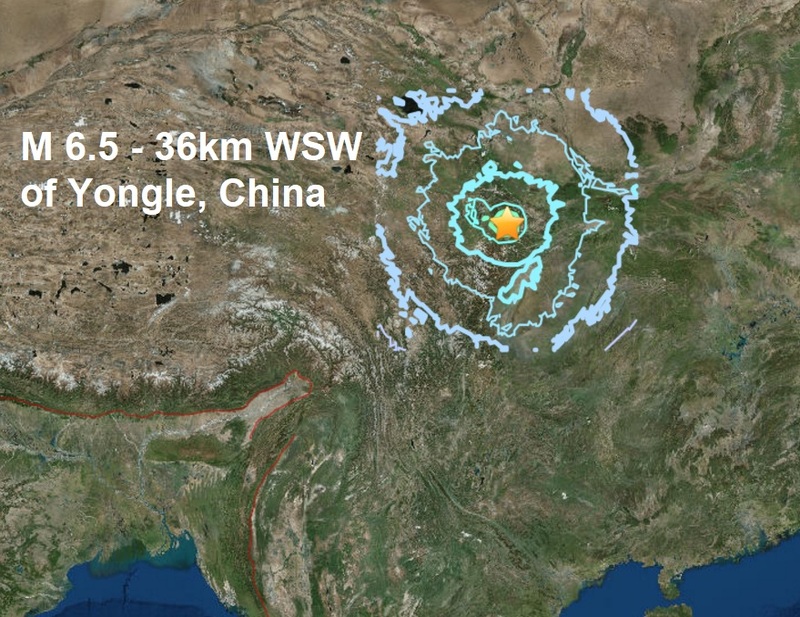 A magnitude 6.5 earthquake has struck in a mountainous region of central China, the US Geological Survey reports. The quake struck in a sparsely populated area 200km (120 miles) west-northwest of the city of Guangyuan at a depth of 10km (6 miles), the USGS said. It had earlier put the quake at magnitude 6.6 and 32 km deep. Shallow earthquakes tend to cause more damage than deeper ones. Five people have been killed and more than 60 injured, 30 of them seriously, the Sichuan government said. Damage to buildings have been reported in a tourist resort and the official People's Daily said the dead were all tourists. There has been no confirmation of the people's nationalities so far but few foreign tourists go to such remote areas meaning the dead are likely to be Chinese. The Sichuan earthquake administration said the epicentre of the tremor was in Ngawa prefecture, largely populated by ethnic Tibetans, many of whom are nomadic herders, but also close to the Jiuzhaigou nature reserve, a popular tourist destination. Officials said on social media that more than 38,000 tourists were then visiting Jiuzhaigou. The area is frequently struck by earthquakes. Pictures on state media-run social media sites showed some damage in Jiuzhaigou, with tiles having fallen from buildings and people gathering outdoors. A police official told state television that there had been some panic among the tourists when the quake hit. The China Earthquake Networks Center measured reported the quake at magnitude 7.0 and said it was 20km (12 miles) deep. The Chinese agency said the quake occurred around 9:20pm near Jiuzhaigou, or Jiuzhai Valley, a national park known for spectacular waterfalls and karst formations.